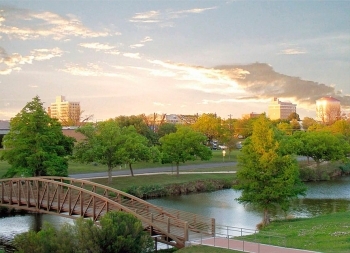 The North Concho River flows through the heart of downtown San Angelo. A recent city river renovation project has added new walks and casual gathering areas with stunning views of the downtown skyline, historic riverside homes, and the architectural rock work along the river banks. 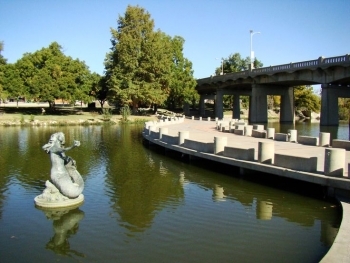 A stroll through downtown San Angelo's "River Walk" begins at the Celebration Pedestrian Bridge and invites visitors to enjoy beautiful gardens, 14 water features, the Bill Aylor Sr. Memorial River Stage, children's playgrounds, and the San Angelo Visitor Center's rock gardens. The 9-hole Santa Fe Golf Course and a 4-mile jogging-walking trail are favorites with locals and visitors.